Mumbai, Dec 12: Pope Francis has accepted the resignation of an Indian Bishop guilty of violating the celibacy vow and getting married and having a child also. Prasad Gallela, the Bishop of Cuddapah in Andhra Pradesh has fallen out of the grace of the Roman Catholic Pontiff for violating the celibacy vow. The Roman Catholic priests are expected to lead a life of a celibate and are not allowed to enter into marriage. The Cuddapah Bishop is the second such case after the Jalandhar Bishop Franco Mulakkal was stripped of his post and divested of authority for molesting a nun. The Cuddapah Bishop is also alleged to have misappropriated the funds meant for poor Dalit children in the diocese and allowed his wife and son “live in luxury”. 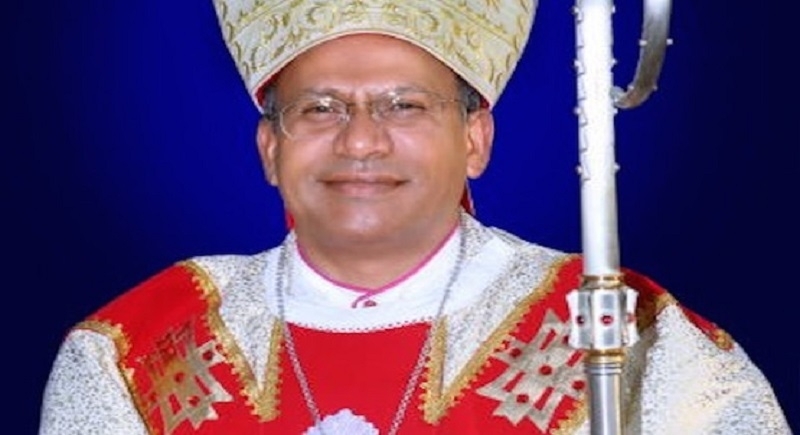 The pontiff appointed Gali Bali, bishop emeritus of Guntur, as administrator of the diocese. The resignation is due to the civil investigation into Gallela, accused of being married and with a son. The news of Bishop’s resignation was released recently. According to AsiaNews the allegations against the bishop had been circulating for some time. Several years ago the Vatican had sent an apostolic visitor to investigate the case. The story, however, ended without any further action. Later the same faithful of the diocese filed a complaint against the bishop, presenting irrefutable documents and evidence. Since last July, the bishop has been prevented from conducting mass in the Cathedral of St. Mary of Mariyapuram, because he is guilty of “having destroyed holiness with marriage”. Leader of the Dalit Christian Forum, Mesa Ravi presented the acts and certificates as evidence to prove the Bishop’s marriage with Gallela Sujatha. Gallela Prasad Junior, 19, was born from their relationship. Ravi also alleged that the Bishop, who is also from Dalit community, has abused and exploited the poor Dalit Christians, married in secret, cheated the faithful and misappropriated the funds for poor Dalit children to allow his secret wife and son live in luxury, while thousands of Dalit Christians were without even the means to survive. However, despite his complaint the church authorities remained silent on the serious episode of corruption, illicit relationship, violation of canon law and causing scandal among the faithful. “Some hierarchies covered the secrets and lack spiritual integrity and honesty “, he said. He addressed the State of Andhra Pradesh and the Government of India, which have ascertained the violations of civil and canon law. “It is a disgrace that the Catholic Church tolerates and silences truth and justice, even though there are those who humbly remind them of it. It is a huge scandal for the faith of the simple and humble faithful”, he said.